For too long, rock’s guitar-wielding stars have sneered at the button-pushing upstarts of electronic music. But now the dominance of dance music has prompted its leading lights to create the first lobbying group designed purely to advance the claims of electronic music. The formal breakaway of electronic dance music, incorporating the sub-genres of techno, dubstep, and house, from hoary old rock music, is timely. 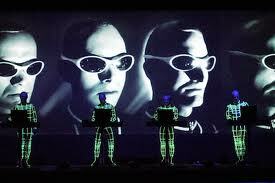 On Wednesday night, Kraftwerk play the first of eight sold-out special concerts at Tate Modern, with tickets to see the German electronic music pioneers trading for £500 on secondary websites. Meanwhile the US has fallen under the spell of Electronic Dance Music, turning producers including dubstep star Skrillex and the French producer David Guetta into festival-headlining acts. “Electronic music has been the red-headed stepchild of music genres,” claims Kurosh Nasseri, a Washington DC-based entertainment lawyer who represents clients including electro producer Armand van Helden and techno DJ Carl Craig. Key demands for AFEM, which has appointed Nile Rodgers, the Chic musician, as Ambassador, include equal representation for dance music at award ceremonies. “The Brits eliminated the best dance act category in 2005. We’d like to see that reinstated,” said Nasseri, a trustee of the Grammys. He is pushing for the Dance/Electronica category at the US music awards, held this weekend, to be included in the live telecast. AFEM will open offices in the UK and US and its advisory board includes the manager of the chart-topping dance group Swedish House Mafia, Sony Music’s head of Electronic Music and the CEO of Beatport, the leading online music store for DJs. On Wednesday night, Kraftwerk commence their first live UK dates since 2004 with a performance of their classic 1974 Autobahn album. Demand to see the shows caused the Tate Modern website to crash and the gallery said it will set up a dedicated queuing area at the River Entrance for any £60 returned tickets. Basement Jaxx was the last act to win the Dance Act category at the Brit Awards. The organisers replaced the category in 2005 with a Best Live Act prize, won by Muse. The switch was seen as a snub to a dance scene, which was then perceived to be suffering an artistic decline as guitar bands enjoyed a brief commercial renaissance.